Here is the shade meadow progression at Petersen Farm in 2018. I seeded a couple “pre-fab” shade-tolerant mixes here (mostly non-native species) in Fall 2017, as this strip gets about 4 hours of sun per day. I had about a dozen species blooming in May, most of which extended through August. There were about five species that started blooming in mid summer, and by September, I still had about five species still blooming. Best performers were California poppy, rose mallow, scarlet flax, and coreopsis. Cornflower was too invasive, I removed most of it before it went to seed. Overall the meadow was pretty to look at, but the value for bees was marginal this year due to the predominance of non-native annual species. Check back next year when most of the perennials in the mix start to bloom! What a beautiful patch this was! 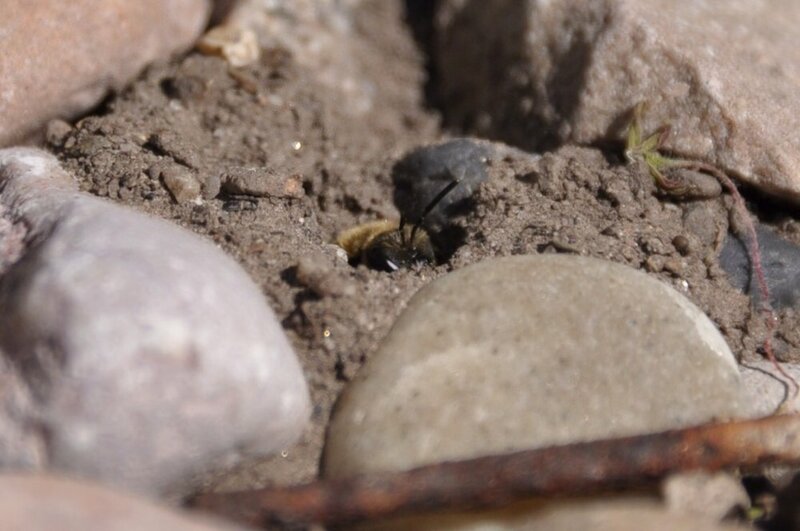 These tiny mason bees make nests inside wood cavities dug out by beetles. I stumbled upon this veritable high rise complex of tiny mason bees, nesting inside timber posts on an outdoor enclosure at Tracy Aviary. I know, I should not be surprised they survived. But still, after very heavy rains this year and no apparent activity for weeks I was worried! Well, they're back. And what a relief. 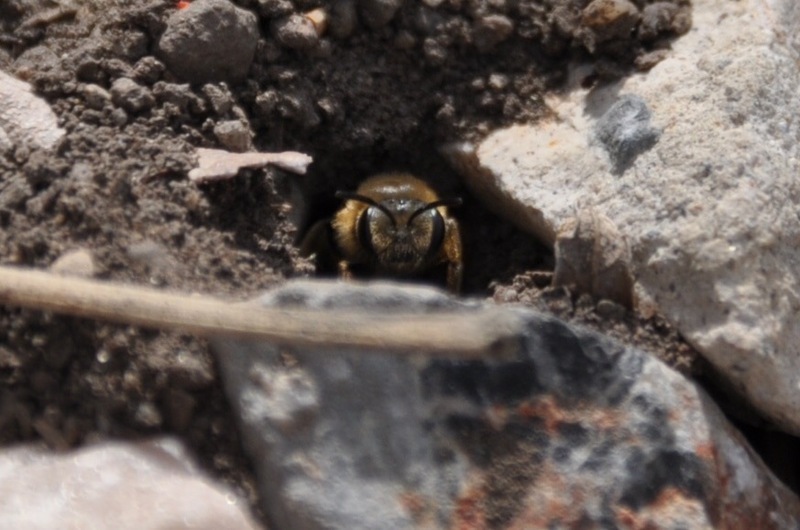 A follow-up to my previous post, on nests of the common sweat bee, Halictus. Here are some pretty photos of common sweat bees foraging, on citrus flowers in Salt Lake City. Common sweat bees are great bees to look for right now.. they are a little smaller and skinnier than a honeybee, with trim hair bands at the base of each abdominal section. Thanks to Amy Sibul for the photos! 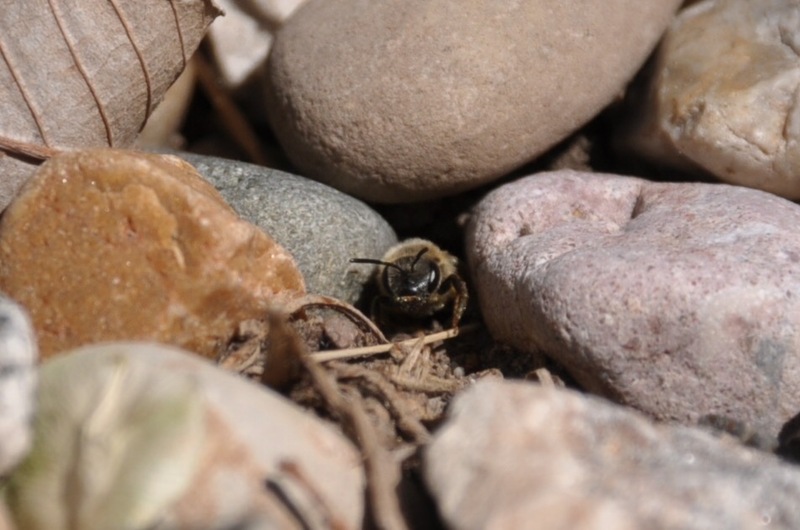 Blue mason bees (Osmia) are among the first bees of spring. Relatively large (honeybee-size), relatively slow, and BLUE METALLIC (most). Many look dark until they catch the light. 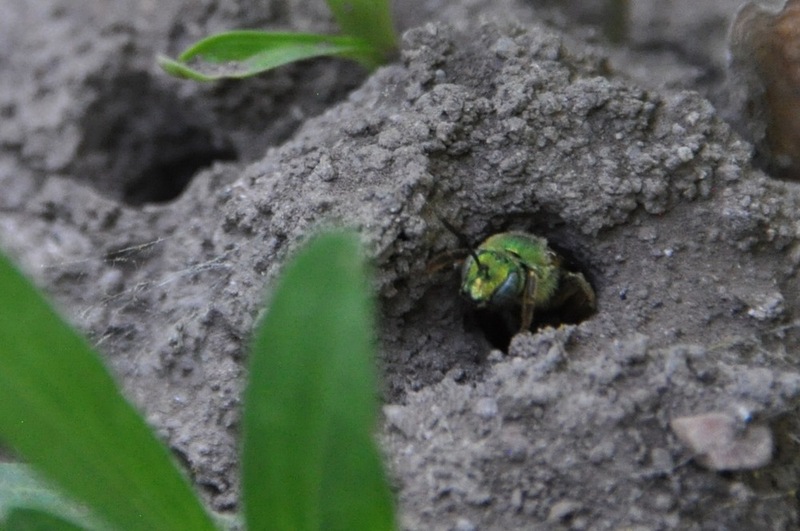 They are attracted to bee boxes with reeds, paper straws, or drilled holes for building their nests. The main purpose of a bee box is to see them in action (in my opinion). We're not really saving the bees with these things, but we sure can get to know them. If you an amateur bee photographer, Osmia are simply "flashes of blue." All bees "hibernate" in the winter. 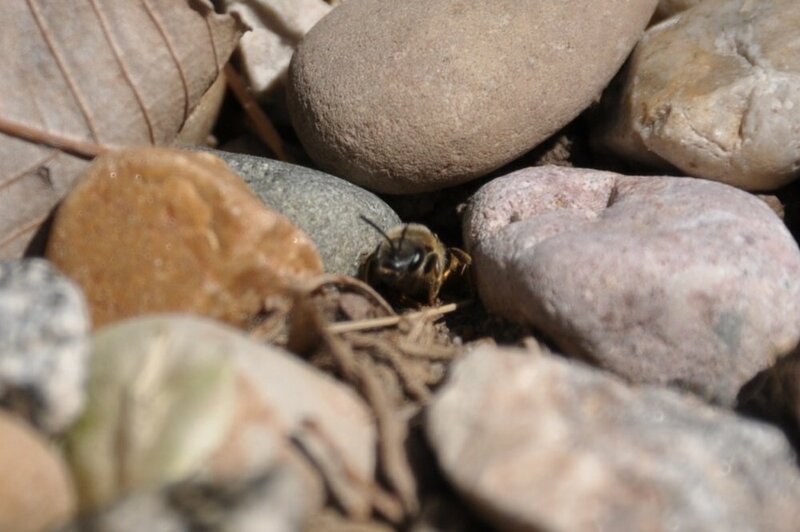 Most bees hibernate as a larva or pupa, before they actually emerge as flying adult bees in the spring or summer. 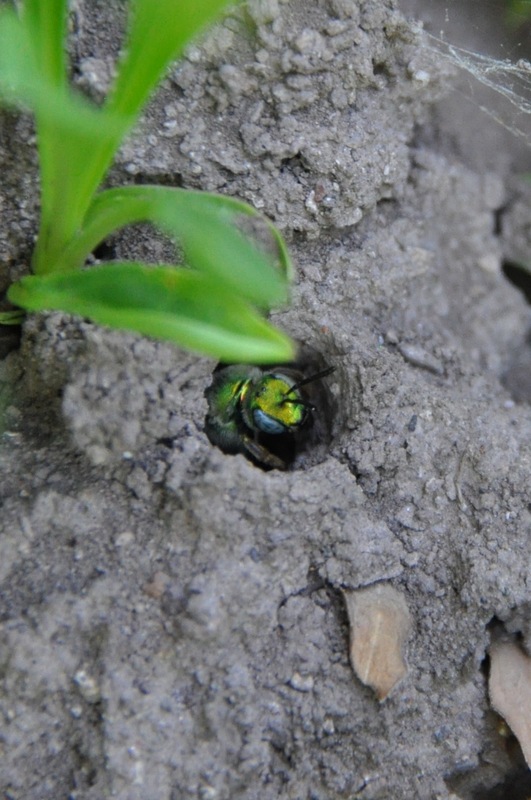 Agapostemon (green sweat bees) nest in the ground. They live in small social groups. Ground nests often have several entrance holes; each must be guarded. This is a "job" for certain bees. Check out the two guard bees standing sentry. I consider myself very lucky they tolerated my presence here. Enjoy! 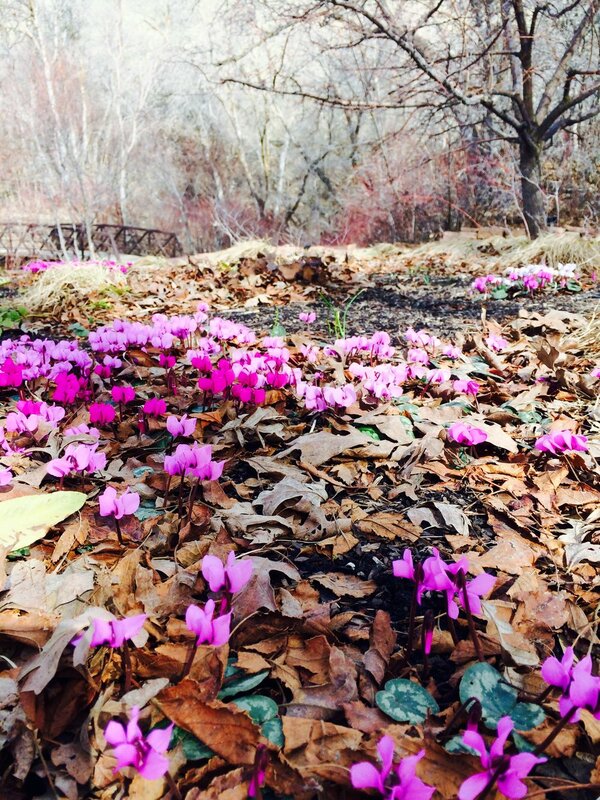 Thanks to the horticulture team at Red Butte Garden for this wonderful discovery!